View More In Leaveners & Yeasts. 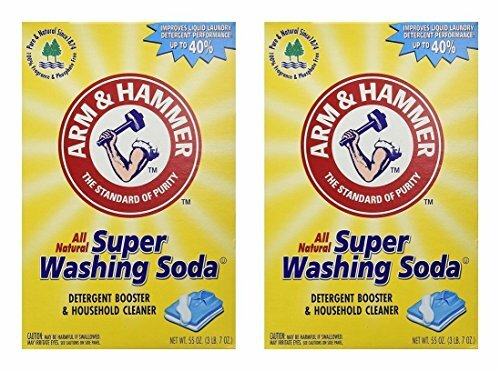 55 Oz, (Pack of 2), Arm & hammer, super washing soda, adds extra cleaning & freshening power for tough household jobs, works as a laundry detergent booster & as a household cleaner, it's not only an effective cleaner, it is an all natural product. This product adds a great value. Product is highly durable and very easy to use. This product is manufactured in United states. If you have any questions about this product by Arm & Hammer, contact us by completing and submitting the form below. If you are looking for a specif part number, please include it with your message.